Seven grams of passiflora pardifolia smokeable Juicy Herbs. 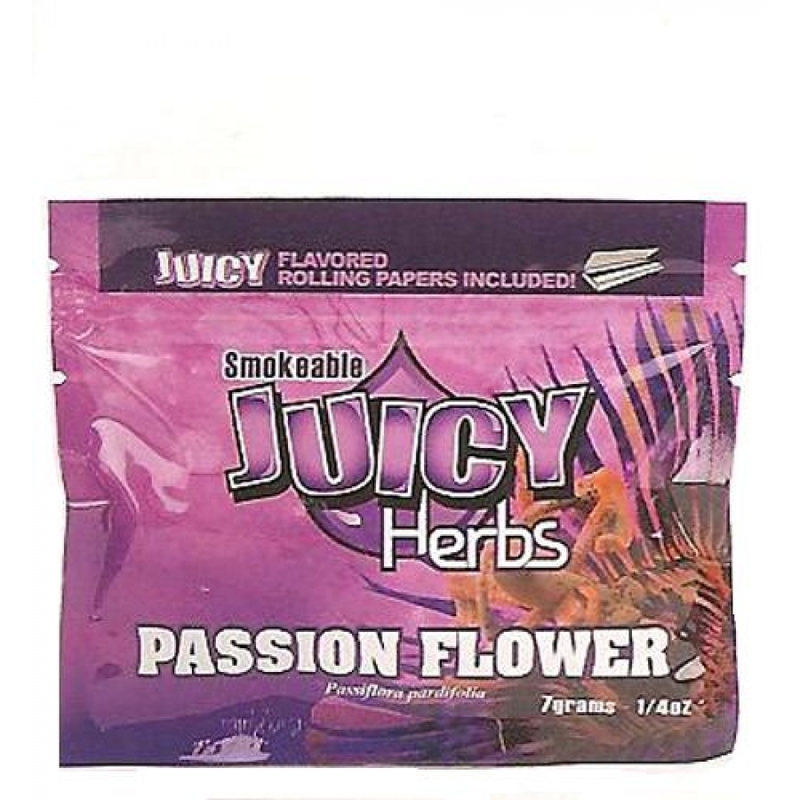 Seven grams of passiflora pardifolia smokeable Juicy Herbs. Passion Flower is vine-like wildflower known for its calming, anti-anxiety effects. Includes Juicy Jay’s flavored rolling papers! Ready to smoke! These herbs were cut and sifted for smoking. Do not operate heavy machinery while using this product. Please consult your physician before using this or any herb or herbal product. Sale of this product to minors is strictly prohibited. Please check regulations before purchasing or using this product. It's very harsh to smoke, but the desired effect is achieved nicely.